Alex was eight years old (name has been changed for privacy). “There’s nothing wong with my /r/”, he said, with absolutely no /r/ sounds whatsoever. His parents had forced him to come to my private practice clinic with threats of reduced computer privileges so he was here, but he was not happy about it. He saw it as some sort of punishment since, by his estimation, there was absolutely nothing wrong with the way he spoke. Nevertheless, his parents were paying me to help improve his /r/ so he visited me once per week for an hour per session. He sat grumpily in his chair, arms crossed across his chest, only speaking when directly required to. He was not able to produce any /r/ sounds but he was in total denial that there was a problem. When asked to try to approximate an /r/ sound that I was saying, he would simply repeat himself with his version of /r/ and then glare at me when I told him they weren’t the same. Tough crowd. Alex walks in and excitedly announced that he was going to get 80% of all of the /r/ sounds right today. He sits down at the table and pulls the iPad (which contains all of his /r/ words) close to him. He starts trying to say the words before I am even set up and ready to go. We practice a few words and I give him feedback about which ones are good and which ones need some work. I direct Alex to think about where his tongue is while saying his /r/ words. He eagerly engages in a conversation with me about where he thinks his tongue should go. Then, he suggests that he says the same word several times with different tongue positions so I can tell him which one sounds the best. When we find one, he draws me a picture of where his tongue is in his mouth. He draws me a ridiculous picture of his tongue doing something that I am pretty sure is physically impossible, but hey, if that visualization makes him say a good /r/ sound, I’m all for it! After 20 minutes, I ask him if he would like a break. He declines, saying he’d rather keep working. After 30 minutes, he asks if he can go through a list of /r/ words and have me calculate a percent correct so he can graph his progress. How is this the same child? Within just a few weeks, he has gone from being dragged in kicking and screaming to eagerly working for 45 minutes straight! What caused this change?? 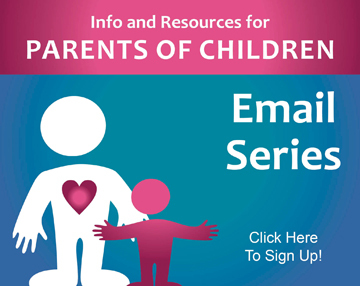 Introducing the five quick steps you can take today to get a child interested in therapy. 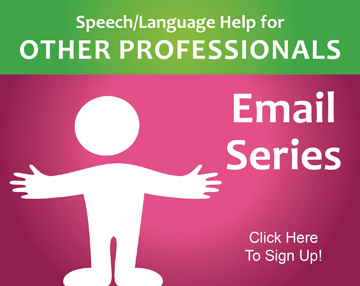 These steps could be used by a parent wanting to get her child to work on speech therapy at home or a therapist interested in getting better buy-in from her students at school. 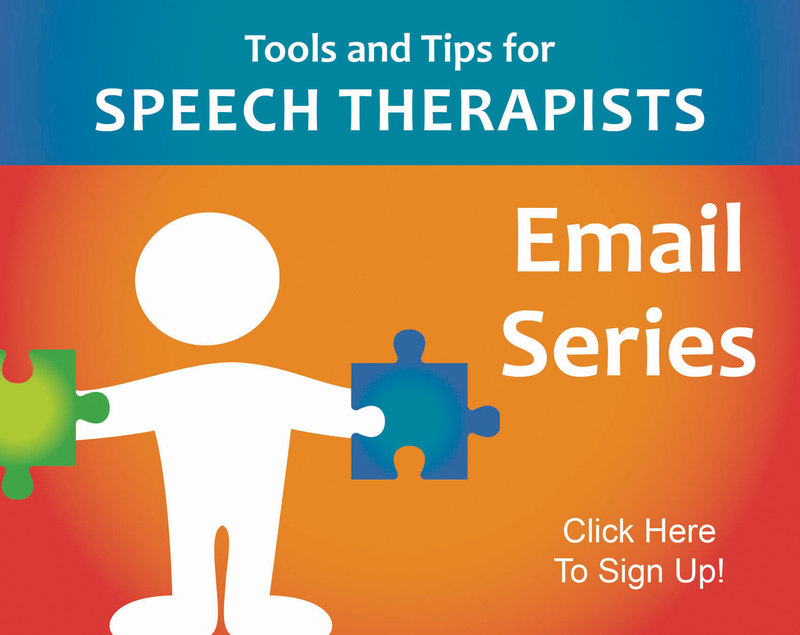 These can also be used for other types of therapy as well, but obviously our focus on this website is speech therapy. When I first had Alex try this exercise, he kind of freaked out on me. I had him say a word that started with /r/. Then, I said the word back to him. I asked him if our /r/ sounds were the same or different. He said that his /r/ sounded just as correct as mine. (For the record, he said a /w/ instead). Then, I recorded him saying the same word and played it back to him. He jumped up and yelled, “The recording changed it! Your iPad changed what I said! !” It took quite a bit of reassurance and re-recordings before he believed me that the iPad recording was correct and his /r/ was not. All this time, he had been hearing his /r/ sounds correctly in his head and hadn’t believed me that other people heard them as /w/. Although this was a bit of a wake-up call for him and he took a while to calm down, it ended up being very beneficial because he then realized that he did need to work to improve his /r/. Every child needs motivation to work on something. For some children, the act of pleasing their parents or therapists is enough motivation, but many children need more. Understanding what they sound like may be just the motivation they need to make a change. After all, if you don’t believe you’re doing something wrong, why would you try to change it? You can try this with kiddos who have a certain speech sound to work on or who are having trouble putting together cohesive sentences or stories. Record whatever you want your child to work on and then play it back for him. As you do, talk about what is wrong and what could be fixed. Self-discovery is a great tool for helping children come to their own realization that they need to change something. One way to do this is to ask leading questions that will help your child talk through the problem. I like to do this by making a book about the child. I call it an “All About Me” book and we typically make it using Microsoft PowerPoint. I put one question or prompt per slide and I write down the child’s answers or thoughts below the question. Then, we decorate it with pictures from Google Image Search that represent the items mentioned. Once it’s done, we print it out with one slide per page and staple it together as a book. You could also do this on regular paper by writing a question on each page and decorating them when done. Here are the questions I use, but feel free to make up your own as well! When is it Hard for me to Use my Good Sounds/Words? (When I’m excited, when I’m playing with my friends, when I’m tired, etc.). It is important for your child to know what he’s working on and how much progress he’s made. 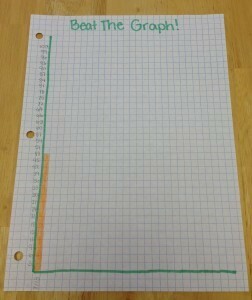 One simple way to do this is to plot his progress on a graph. I like to use bar graphs like the one pictured below. I simply write the numbers 1-100 up the left-hand side of the paper (I counted by 3’s on my paper to make it fit) and then I put the session dates along the bottom. 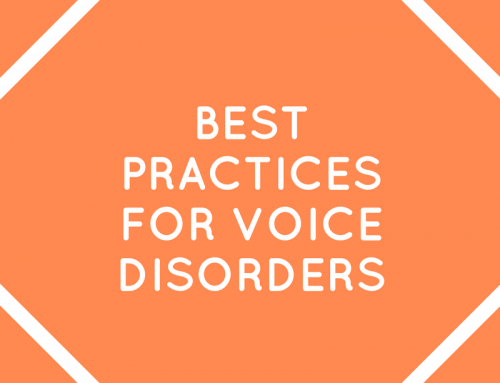 Each time we practice, I have the child demonstrate the skill while I take data (for example, saying 30 words while I record how many /r/ sounds were correct or incorrect). Then, I make a bar that is as tall as the percent that the child got correct. I let the child color in the bar each day. If the child does not score as high as the previous day, I let the child practice for several minutes and then try again. Usually, they are so motivated to do better that their second score improves. 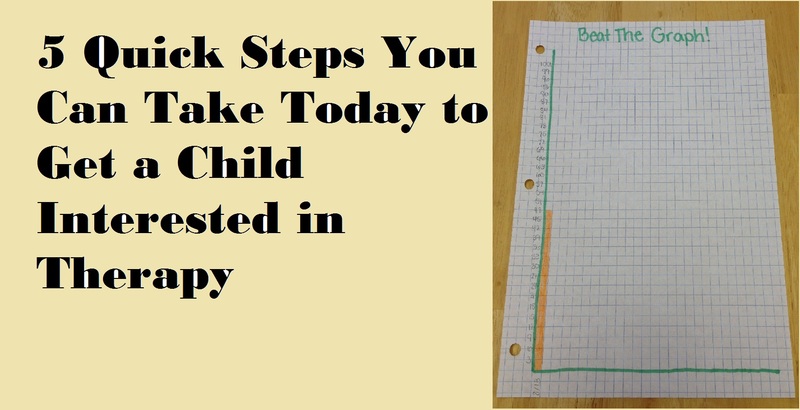 It’s also important to write the child’s goal on the graph. Draw a dotted line for the goal percent. Don’t make it so high that it takes forever for them to achieve it, you can always set another goal and draw another graph after they achieve a smaller goal. We want them to be successful! Write the goal percentage on the paper as well as how many times in a row they have to achieve it. Is it just once or does it need to be three times in a row? Along the same lines as the last one, you want to make sure your child is working toward something. Yes, improving speech should be its own reward, but let’s be honest. That’s not all that motivating. Ask your child to help you decide on an appropriate reward for when he meets his goal. Remember, set the goal at something achievable so he will get the reward soon but after he works at it some. The reward might be a new toy, a healthy, edible treat, a week vacation from speech therapy, getting to play a game with the therapist instead of working for a session, or anything else you can think of. Make sure your child knows his goal and what he needs to do to get there. If you are a parent who wants to improve your child’s speech, you may feel like you need to be working on it and reminding your child all the time. If you’ve tried that though, you’ll know that it only leads to frustration for both you and your child. 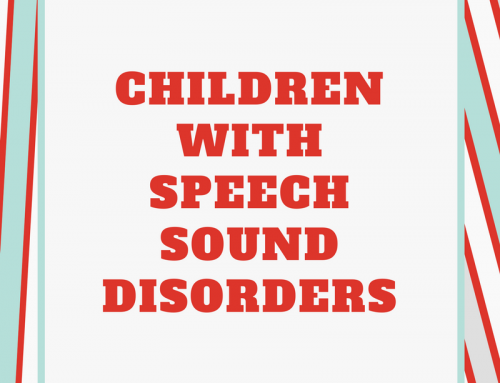 It is much more important to set limits on when you will help your child with his speech. Sit down with your child and decide when and how long you will work on speech. Research shows that shorter, more frequent sessions are often more beneficial that a few longer sessions. Set a time frame with your child where you will work on speech often (every day or so) but it will only last for a short time. Start with a few minutes if that’s all your child can handle. You can always build up to more time later. Once that time is over, promise your child you won’t nag him about his speech. Eventually, you may need to re-establish new rules for when you will remind him but that won’t be until your child is ready to start generalizing a learned skill to saying it correctly in general conversation. There you have it! 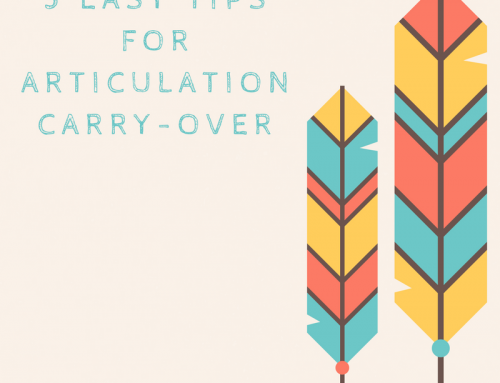 There are my quick tips for getting your child interested in speech therapy. Try some of them today and post below about how they worked. What other strategies do you use to motivate your child or students? 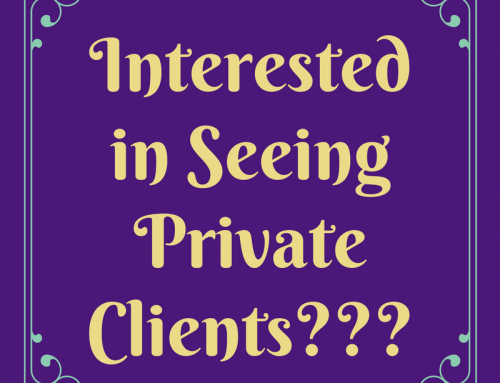 Comment below so others can hear your strategies as well!